The watersheds that flow west from the Cascades into Puget Sound all have something in common: the headwaters are comprised of public land, and mostly National Forest land. That means we—the public—have a unique opportunity to influence the management of these lands, from restoration activities to recreation opportunities. The stewardship of these lands effect not only the ecological, social, and cultural communities living and passing through them but also those far downstream—from urban and suburban cities to southern resident killer whales. With the tremendous and demanding pressures that our Puget Sound watersheds face, including stormwater pollution, population growth, and more, it can be a challenge to look upstream for engagement opportunities to improve conditions. But to maintain our region’s distinctive vision for being home to thriving human communities alongside wild lands with crooked trails through old forests and healthy salmon runs, we must. A multitude of plans from salmon recovery to urban waters initiatives in our region note the importance of protecting high-quality intact habitat in the uplands and restoring degraded conditions as opportunities arise. For two watersheds in Central Puget Sound, the opportunity to engage on national forest lands management is here. Last spring, the Mt. Baker-Snoqualmie National Forest introduced their new Snoquera project to the public to begin soliciting public engagement. This project covers national forest lands in the Green and White River watersheds, which provide the drinking water to downstream communities in Pierce County including Tacoma and Puyallup, among a multitude of other benefits. The project aims to address the “discrepancy between the existing conditions and the desired conditions,” recognizing the degraded state of these watersheds including waterbodies that exceed water quality standards and forested stands lacking adequate large and old trees and diversity. 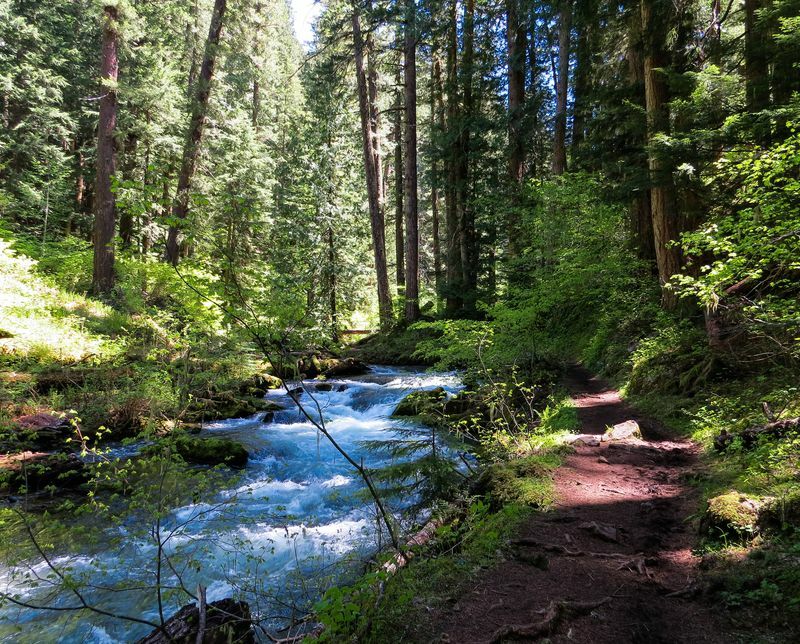 This planning effort provides an opportunity to establish a restoration blueprint for these national forests lands to implement over the next 10-15 years, and identify a suite of actions to restore watershed health while providing quality public access to connect and enjoy these public lands. This is our chance to establish a shared bold vision to guide investments in the future of the upper Green and White River watersheds, investments that a recent report by Earth Economics found will pay us back in critical ecosystem services 3000-fold every single year. These ecosystem services include flood risk-reduction, maintaining water quality and supply, recreation, and important fish and wildlife habitat. This winter, the Forest Service released the proposed actions they believe we need, and the public now has the opportunity to contribute your ideas and comments through next week. So now is the time to dust off those salmon plans, think about the source of our water as you fill your glass, and look upstream. Review the plans proposed by the Forest Service and let them know the issues that are important to you in these watersheds by end of day Friday, February 22nd through their online comment form.